Dozens of fires broke out in Lawrence, Andover, and North Andover Thursday afternoon, and State Police advised all residents in those communities who get their gas service from Columbia Gas to evacuate their homes immediately. “Gas lines are currently being depressurized by the company,” but it will “take some time,” State Police said in a tweet. Firefighters have been called to 39 addresses in Lawrence, Andover, and North Andover for reports of suspected gas fires and explosions, State Police said, and that number could grow. “Numerous evacuations” are underway in places were gas had been smelled, and “troopers are on scene assisting with scene security and traffic control,” State Police said. Forget yesterday&apos;s news. Get what you need today in this early-morning email. Local TV helicopter video footage showed plumes of smoke and orange flames rising from several buildings in the area. A spokeswoman for the state fire marshal’s office said there was an initial report of an overpressurization of a gas main that led to the fire and explosions. Investigators from the office are on their way to the area. “The State Fire Mobilization Plan has been activated for 4 structural fire task forces for mutual aid assistance from other parts of the state,” the agency tweeted. Gas service is provided in the area by Columbia Gas. A Columbia Gas spokeswoman didn’t immediately return a telephone and e-mail message seeking comment. National Grid, which provides electricity to the area, is also responding to turn off electricity service to homes, said National Grid spokeswoman Christine Milligan. In North Andover, Garry Frizzell, 50, said he smelled gas in his house at 4:45 p.m.
“I said, ‘I left the stove on’ — then I realized I hadn’t used it in three days,” he said outside his house and several emergency vehicles roared by toward two nearby fires. Nearby, on Main Street, heavy smoke was coming out of the top window of a house as several firefighters attempted to put out a fire. Neighbors gathered to watch and exchange what little information they had. One man ran from house to house shutting off gas mains. Jordan Burgess Sr., 80, another neighbor near the fire on Main St., smelled gas and left his house. “The police chief, he was right up the street. He said, ‘Don’t go back in the house,’ ” Burgess said. 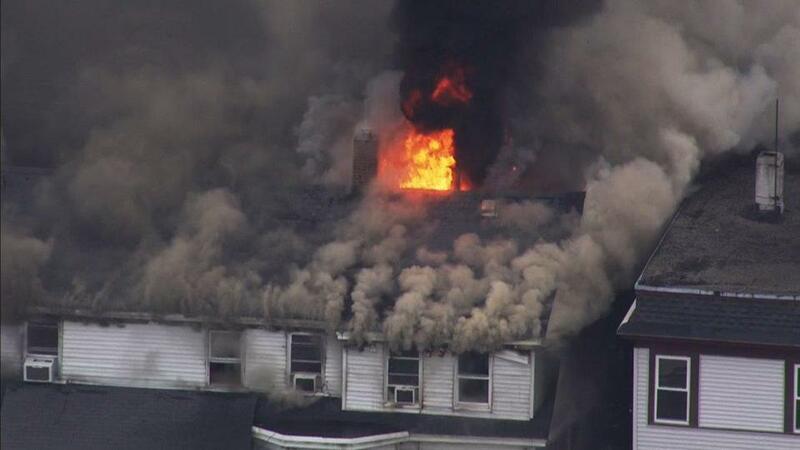 North Andover Town Manager Andrew Mayor tweeted that there were “multiple working fires” in town. Merrimack College in North Andover ordered all students, faculty, and staff to evacuate campus buildings immediately. Lawrence Mayor Dan Rivera could not be reached by the Globe for comment. But in an interview with WBZ-TV, Rivera urged residents of South Lawrence to evacuate their homes. 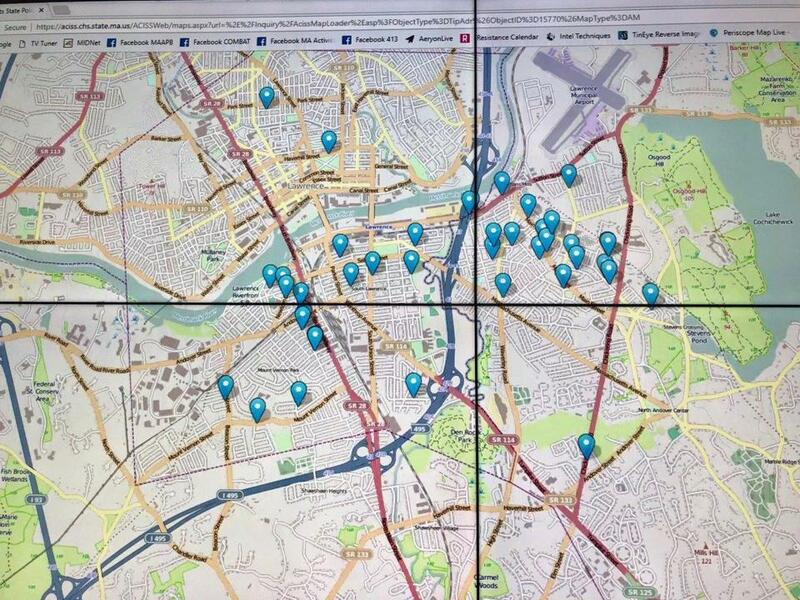 “If you’re in a home in South Lawrence, and you smell gas, evacuate your home. If you see fire in and around your home,” evacuate, Rivera said. “If you smell anything in the way of gas, do not take any chances,” Rivera said. Lawrence police, fire EMS and the Red Cross were on hand. Rivera would not say if there were any injuries. “We’re trying to piece it together,” he said. The town of Andover said on Facebook that residents should turn off their gas, if they know how to do it safely. “ATTENTION ANDOVER: If you know how to safely shut off your gas, please do so. Residents and businesses are being advised to evacuate. We will post updates as soon as we have information,” the posting said. Local TV helicopter video footage showed plumes of smoke rising from several buildings. Published on Thu, 13 Sep 2018 22:53:49 GMT, © All rights reserved by the publisher.